WASHINGTON (Sputnik) - Chinese "militarization" of the South China Sea has prompted the United States to begin discussing the possibility of relocating US forces and opening bases in the region, US Indo-Pacific Command chief Adm. Philip Davidson said in congressional testimony on Tuesday. "We have to accept the fact that the environment is changing so drastically in the South China Sea that it’s going to require new approaches", Davidson told the US Senate Armed Services Committee. "It’s going to require us to think about some places, if not bases… We are in conversations with partners and allies about what some of the opportunities might be there". Davidson noted that Chinese President Xi Jinping had not kept a 2015 promise, made in a White House ceremony with former President Barack Obama, not to militarize the South China Sea. READ MORE: Can US and China Coexist in the South China Sea? Beijing has since populated a series of islands, some artificially created, in the South China Sea with anti-ship cruise missiles, surface to air missiles and electronic jammers, Davidson pointed out. "Now they have the weapons", Davidson said. "They’ve got sufficient military cadre and they’ve stepped up their operations both in the maritime and with bomber sorties and fighter sorties in a way that makes it clear that those islands are to support them militarily". 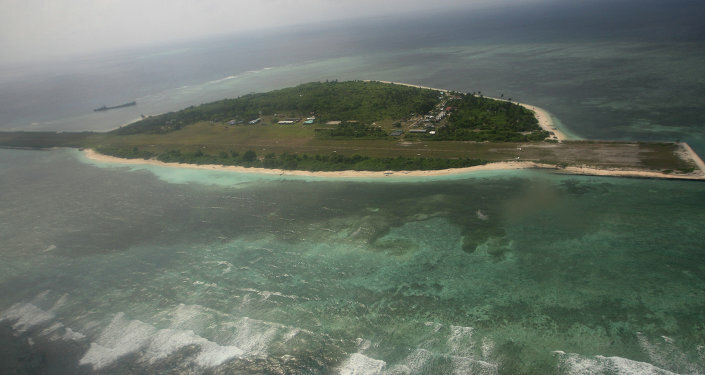 China claims sovereignty over the entire South China Sea, an international waterway teaming with tanker cargo traffic, undersea communications cables, with overlapping territorial claims by at least six other nations. The United States frequently sends warships, sometimes with partner nations, through the waterway in what Washington calls "freedom of navigation" exercises. Can US and China Coexist in the South China Sea?